Get your plants off to a great start - use our high quality Klasmann Organic Substrates/Composts - These consistently out-perform all others on the market. Klasmann-Deilmann is one of the largest substrate producers worldwide. 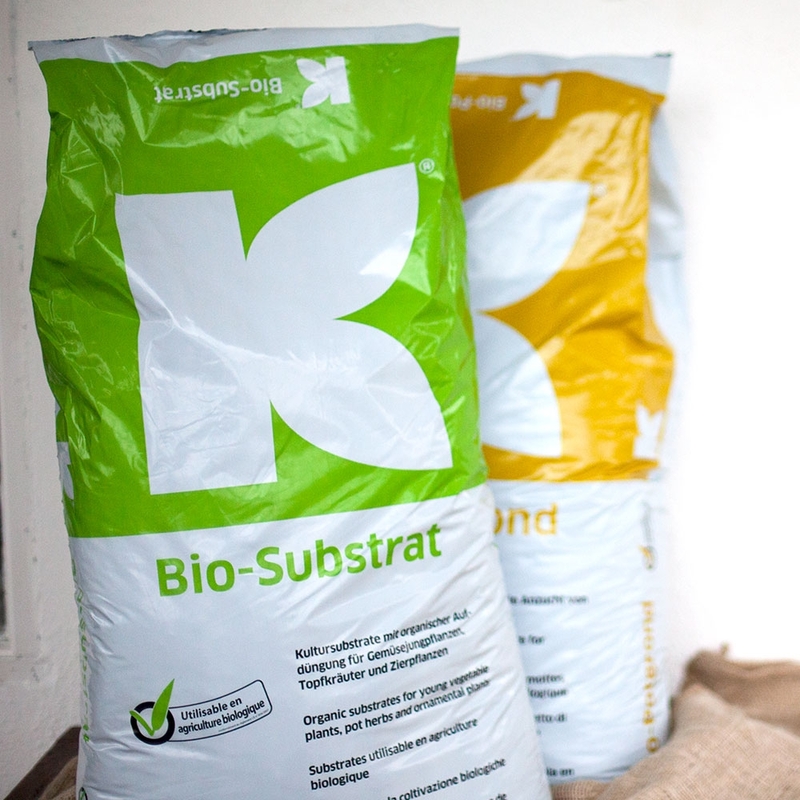 Their organic substrate range is certified by the German organic certification body Gruenstempel (DE021) and approved for use by organic producers in Ireland. You can find out more information on Klasmann on our blog HERE. Available as Seed or Potting Compost - either Peat Free or Peat Based. All our peat based substrates have a 20-50% reduced amount of peat. The peat is substituted by green waste compost made by Klasmann. The composts that have to used for Microgreens, Wheatgrass or Potted Herbs in organic systems are the Peat Free Seed or Potting Substrates , as these are made up out of more than 50% certified organic ingredients, which they need to be for this purpose according to the organic standards. Peat is not seen as an organic ingredient, Organic Coco coir is. During the composting process of the green waste, the raw material is treated with biodynamic preparations which ensure that micro-organism activity is stimulated. Predatory mites (Hypoaspis miles) are added to prevent infestation with Sciarid Fly in the greenhouse. We also have 20% Peat reduced Blocking compost for making your own soil blocks with our blockers. We deliver to anywhere in Ireland. Save money by buying 10 bags or a whole pallet.